We've been very lucky this Easter I think. The weather has been good many more days than it hasn't. Which means one thing..... PLAYING OUTSIDE! And we've done loads of it! Afternoons in the locals parks having picnics, playing, and meeting friends. Hunting for bugs and creepy crawlies in the back garden (and a surprisingly philosophical conversation following the accidental murder of a snail). 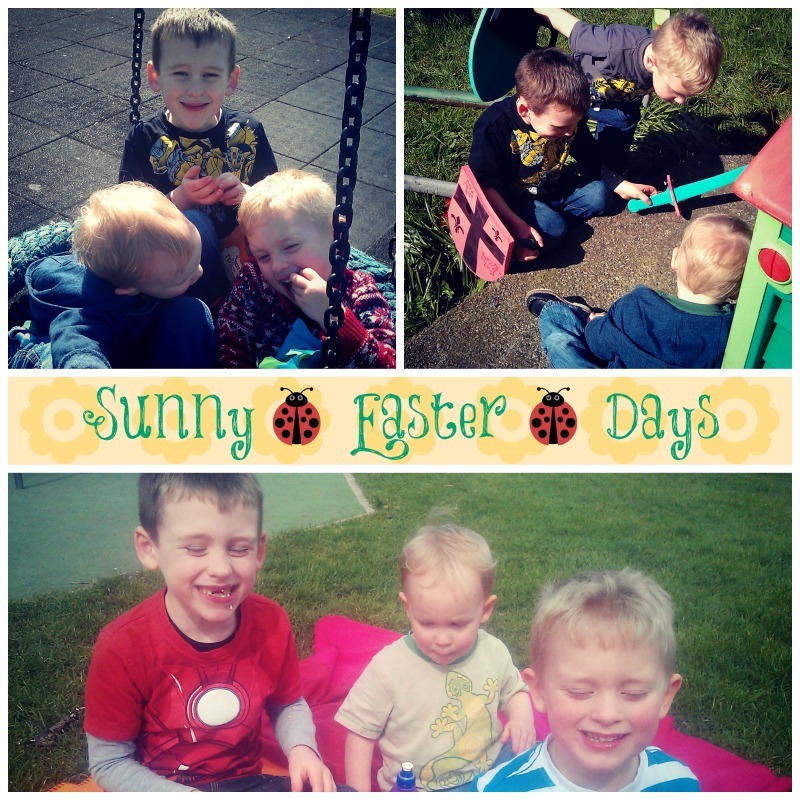 I made of point of making sure we saw their friends Orrin & Brodie twice over the holidays too since they are changing schools and wont be in Jack's class or Tom's nursery after Easter. We've had some indoor fun too. 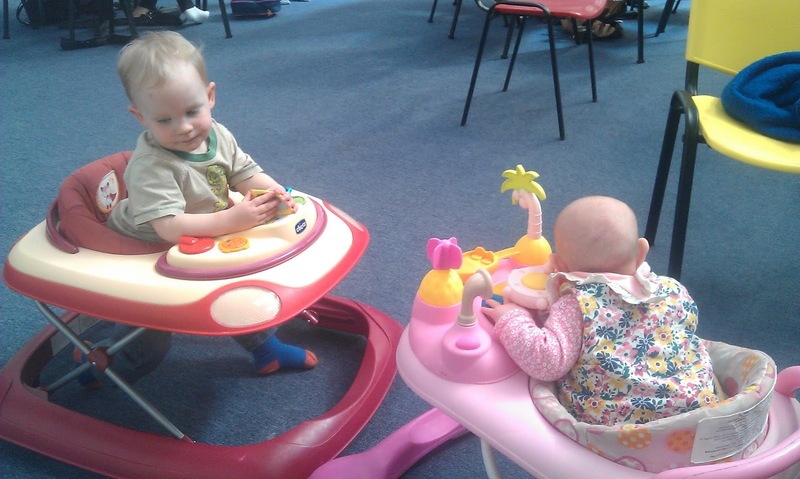 My Mum took them to some indoor play areas while I was at work, and we had a good play at Giggles with Orrin, Brodie and family too.